In 2016, I began writing mini-reviews of every feature film I watched and, this year I decided I’d post them on my website. You can find these reviews by clicking here or by clicking on Film Reviews on the menu at the top of any page on the site. These reviews are all short, sweet, and spoiler-free. I only write reviews for films that I am seeing for the first time, so every film on this list is one that I first saw in 2016 or later. As a film student, I obviously watched loads of films before 2016, which explains why a lot of classics like Citizen Kane, King Kong, and The Godfather are absent. I also have a rule that I won’t write a review for any film unless I watch all of it, so sometimes I’ve forced myself to persevere to the end just so I could comment on how bad I thought a film was. Check back and scroll through titles often because new reviews will be added all the time. 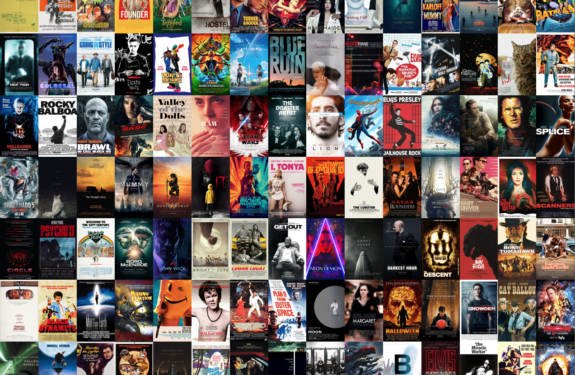 I’m still in the process of currently uploading over 200 reviews that I’ve written over the last 2 years and I’m also adding new reviews as I watch more films. Take a look at my mini-reviews and see if you agree with them!